All Divisions are co-ed and primarily adult. 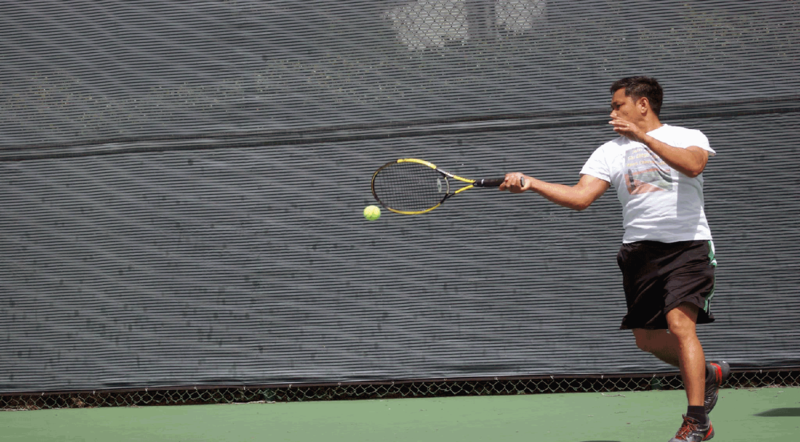 Advanced Junior players, aged 14 and over, may also compete in levels 4.0 and up. This player is just starting to play tennis. This player may have had some lessons, but needs on-court experience; has obvious stroke weaknesses, but is beginning to feel comfortable with singles and doubles play. This player has more dependable strokes and is learning to judge where the ball is going; has weak court coverage or is often caught out of position, but is starting to keep the ball in play with other players of the same ability. 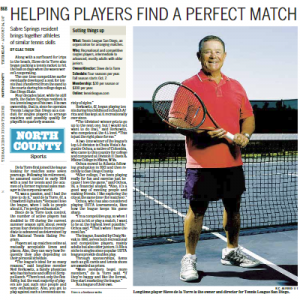 Tennis League San Diego currently features 4 active skill level Divisions: 3.5(6), 4.0, 4.5 & 5.0. Presently 3.6 and 4.0 Divisions are mixed gender. This player has achieved stroke dependability and direction on shots within reach, including forehand and backhand volleys, but still lacks depth and variety; seldom double faults and occasionally forces errors on the serve. This player has dependable strokes on both forehand and backhand sides; has the ability to use a variety of shots including lobs, overheads, approach shots and volleys; can place the first serve and force some errors; is seldom out of position in a doubles game. This player has begun to master the use of power and spins; has found footwork; can control depth of shots and is able to rush the net with some success on serve in singles as well as doubles. This player has good anticipation; frequently has an outstanding shot or exceptional consistency around which a game may be structured; can regularly hit winners or force errors off of short balls; can successfully execute lobs, drop shots, half volleys and overhead smashes; has good depth and spin on most second serves. 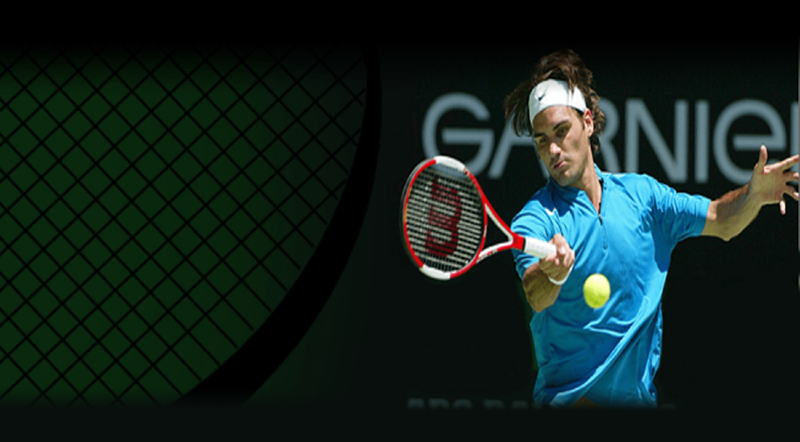 This player can execute all strokes offensively and defensively; can hit dependable shots under pressure; is able to analyze opponents’ styles and can employ patterns of play to assure the greatest possibility of winning points; can hit winners or force errors with both first and second serves. Return of serve can be an offensive weapon. 6.0 CLASS TOURNAMENT: Regional or national tournament ranking required. 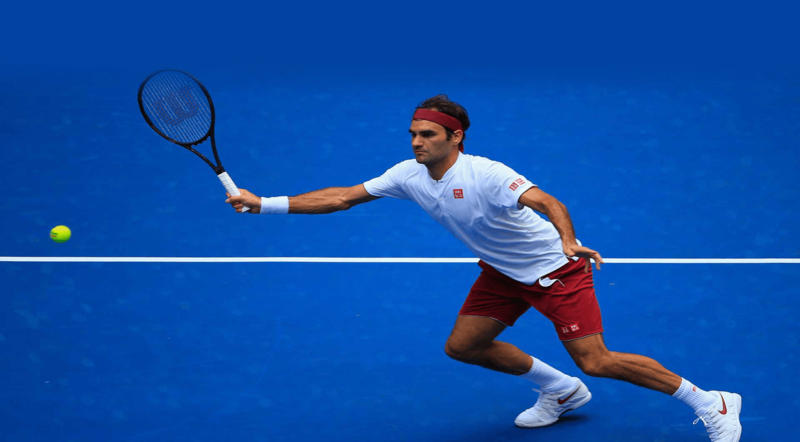 Copyright © 2019	TennisLeague.com. All Rights Reserved.